We got to Oregon thursday night. Around 1 in the morning we got in and i had been entertained by an interesting fellow who could talk for 2 hours straight. I was entertained and found it interesting, my mom did not. On friday we drove to the coast. 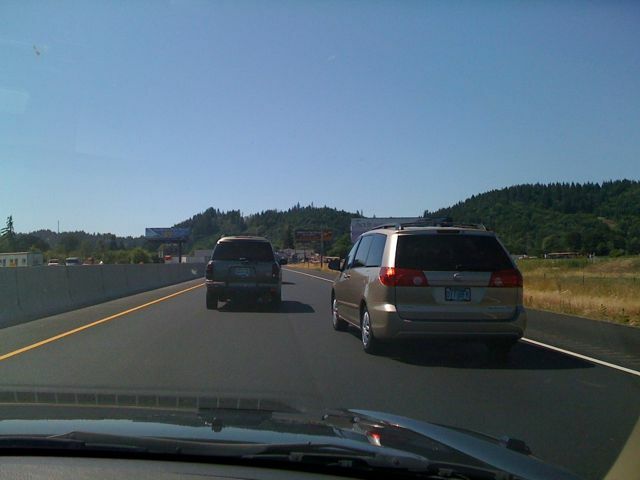 We left late and hit fun oregonian traffic which is a 2 lane to a 1 lane road (see the first pic for something truely not interesting, haha im passing time) The gps system said 32 miles and 55 minutes to destination for a good 45 mins of the stalled driving. Ooo yay. Now things are moving along. Oh and 105.9 fm ‘The Brew’ rocks my sandals off!! 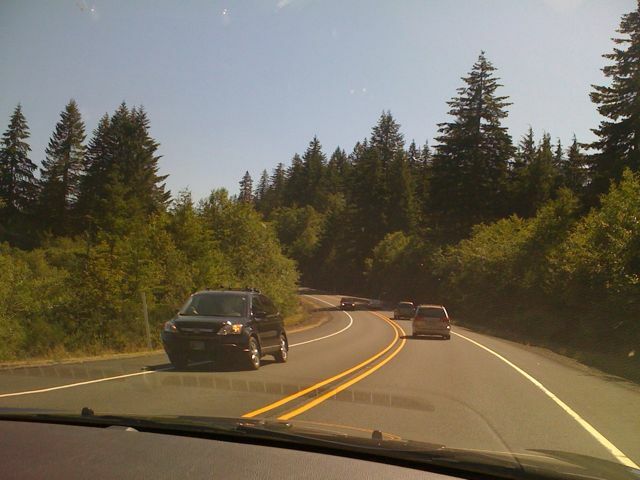 So the downside of Oregon is that apart from it being beautiful and undeveloped, transportation wise, is that there are no major roads to the coast. So every one is there. At the end of our drive in it took us 37 min to go 9.9 miles, and that was like 30 minutes for 8 miles and 7 minutes for 2 miles. Oh well.